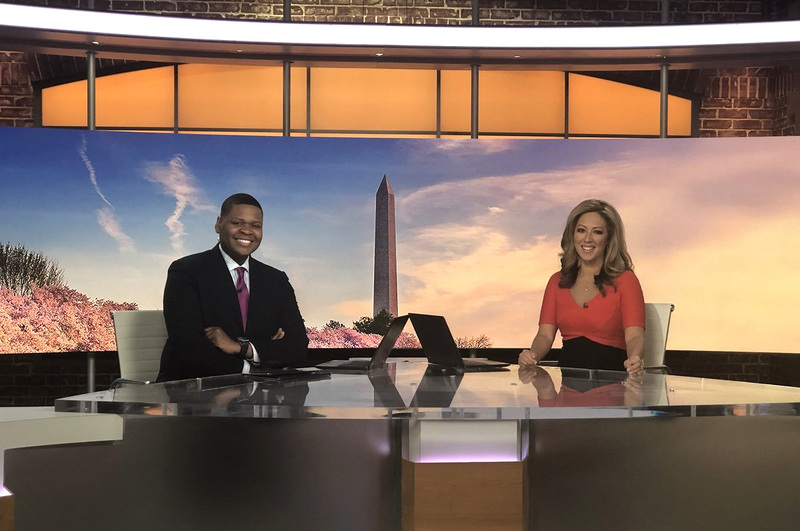 Tegna’s WUSA in Washington, D.C. has debuted its new set — a look that blends the familiar “in the round” style set found at other group stations with faux brickwork and arched windows. Jack Morton Worldwide created the set design with fabrication by blackwalnut. 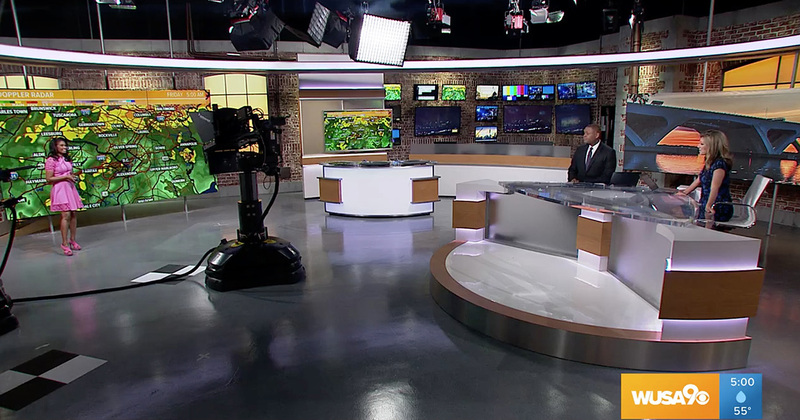 The station’s new anchor desk matches the ones found at multiple Tegna stations, like KSDK in St. Louis and KING in Seattle, and is designed to accommodate a variety of seating configurations. Behind the anchor desk is a seamless LED video wall from Neoti — a notable change from other sister stations, which typically use vertically mounted panels. Another key difference in WUSA’s set is the dominant use of faux brickwork for wall coverings — which include stone endcaps and industrial style pipe accents. The brickwork adds both texture and a depth to the look, while also paying homage to the city’s historic architecture. The set design avoids references to the more stereotypical columns and stonework found in many Washington, D.C. monuments and buildings, instead, creating a modern loft-style look. The set also uses arched windows in the design, including a wide backlit one behind the anchor desk video wall, as well as smaller, industrial style windows in a working presentation area to the right. Color changing technology allows the windows to change based on daypart, such as orange for morning or bluish/purple in the evenings. 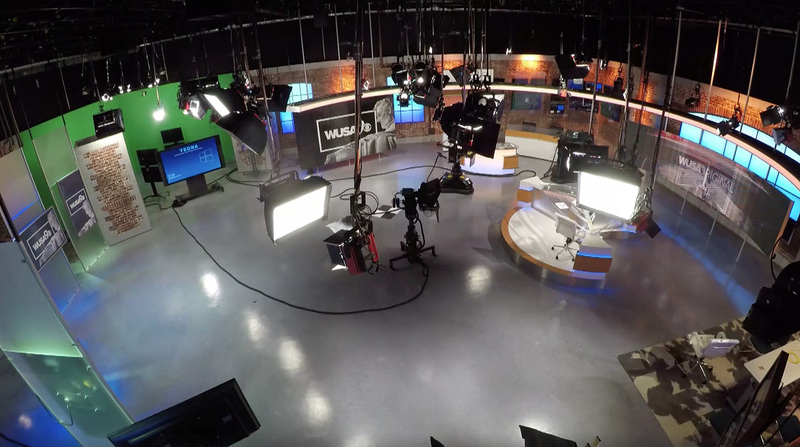 The studio’s new weather center boasts a variety of wall-mounted video displays and ties into the main set with a large, internally lit suspended curved header element. Subtle accent lighting and light wood tones also help connect the space’s design, with a half wall creating a work area for weathercasters. 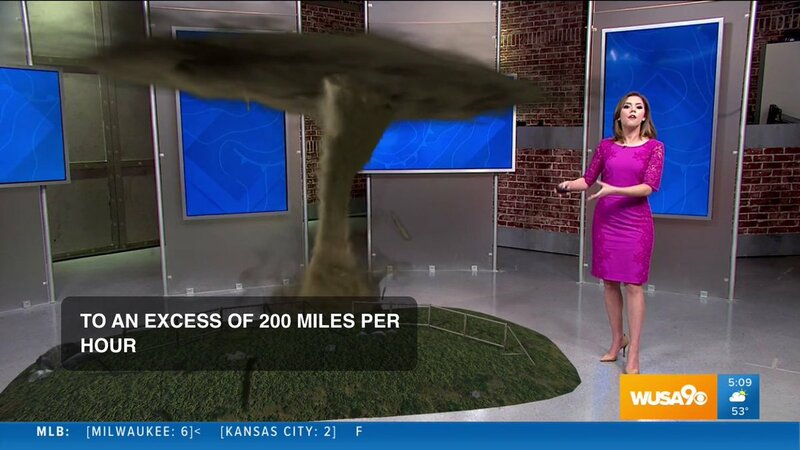 WUSA also updated its weather technology with the new set, adding augmented reality to its suite of presentation tools. An example of WUSA’s augmented reality technology used during weathercasts. Other areas of the set include two multipurpose presentation areas with a variety of monitor configurations and a “conference room” area with pendant lights. 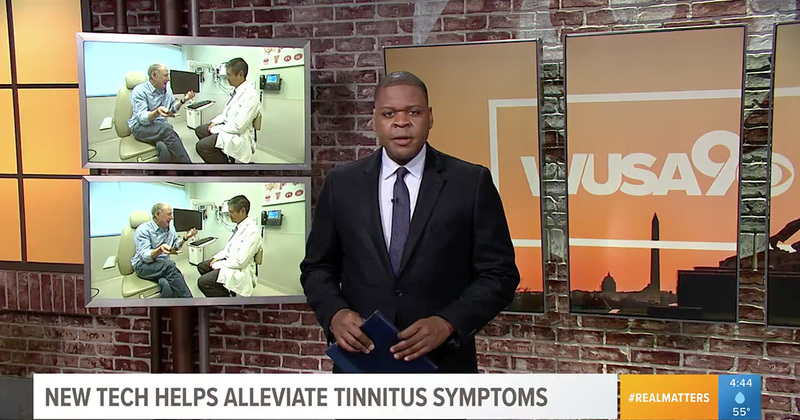 WUSA also updated its on-air branding with the relaunch, rolling out a new logo design and the Tegna group graphics package.